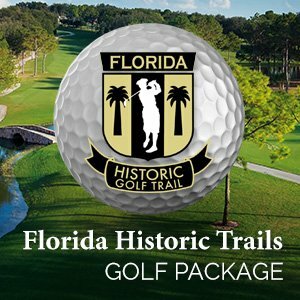 The championship course El Campeón is included in the Florida Historic Golf Trail, a group of 62 public, semi-private, military and resort golf courses spread across 31 counties and built between 1910 and the late 1930s. Join us as we celebrate El Campeón and the “Golden Age” of golf course architecture with this special package! Call us direct at 352.324.3101 or 800.874.9053 (toll free) for single or triple occupancy package pricing. Gratuity, tax and resort fee are not included. Suite, villa, single occupancy and non-sportsman rates available on request. Package pricing is per person per night, based on double occupancy and a two-night minimum stay. Applicable taxes, service charges, and resort fee are additional. A one night deposit will be charged at time of booking. A 72-hour cancellation policy is required to avoid a one night penalty.